Water Cannon's lifetime warranty on the aluminum frame adds to making this purchase a lasting investment. 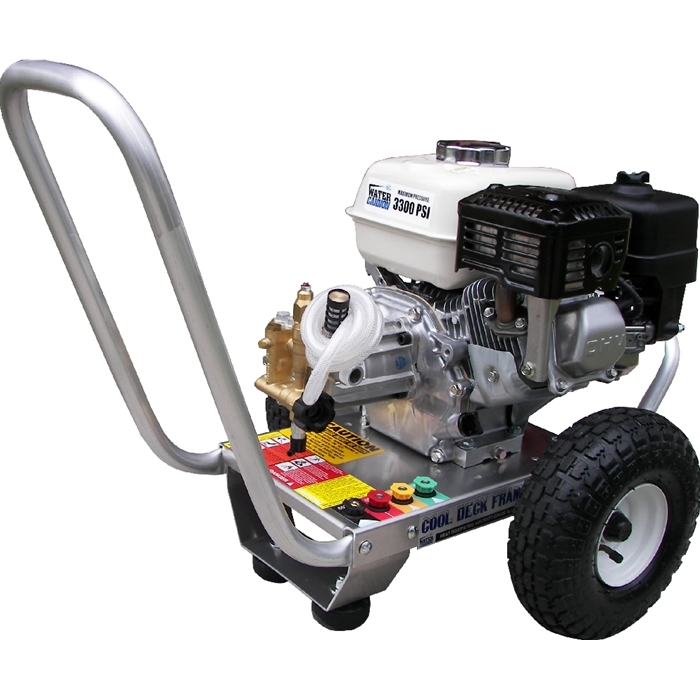 This unit is delivered to you complete and ready to use when combined with the attachment kit and 50 Feet industrial duty high pressure hose. All of Water Cannon's pressure washer models pass a 15 point inspection. They are factory assembled, tested in the USA, and delivered professionally boxed and ready to operate. The handle is removed during shipping but is easy to re-attach. We even Armor All the tires!